Deciding on the right Spicewood plumber for your home doesn't have to be a difficult task. That's because most locals already know that the name to entrust for the best in professional work and results is Moore & More Plumbing, and has been since 1986. As a family owned and operated Austin Plumbing company, we are dedicated to both workmanship and customer care. We have worked hard over the past 30 years to provide service excellence for our customer base. We offer long term solutions as opposed to short term, quick fixes. By doing this, we know we will be able to earn your repeat business, down the road. In fact, our commitment to quality work and customer service is part of what has helped us earn the flawless reputation that we have. We take this line of work seriously, a trait you will be able to witness firsthand by working with us. Don't take a gamble when it comes to the level of quality work that goes into your plumbing service needs. Plumbing Repairs – There are countless types of repairs you are going to need. From a leak in the basement to a dripping faucet – and everything in between. Tree Root Infiltration – Sometimes a “clog” is more than just hair in the shower drain. Tree root intrusion can cause a great deal of damage but we can locate the problem and fix it for you. 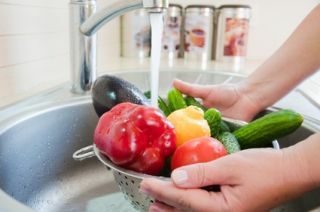 Water Treatment & Testing – You want to be able to keep the members of your household healthy and safe. An essential part of doing that is making sure the water is purified. Don't settle for inferior service or shoddy results. Let our team of qualified and established industry experts handle the work for you. We are not satisfied with the final results of the work until you are. 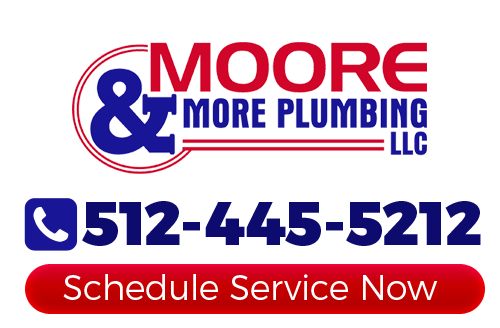 Moore & More Plumbing is the only name that you need to know in order to get the work you need done, in a timely manner. Each work vehicle is a mobile repair truck, fully stocked and ready to quickly address your service needs. Trust in our pros to take care of your installation, inspection, repair or replacement needs and rest assured you will be satisfied with the results. If you are looking for a professional Spicewood plumber then please call 512-445-5212 or complete our online request form.